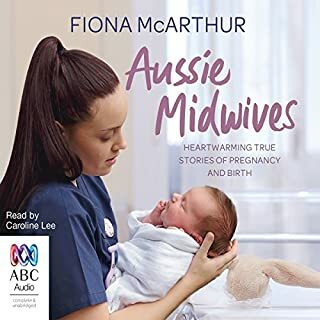 Nineteen Australian midwives share their incredible stories with passionate midwife and best-selling author Fiona McArthur. 'Being present as the midwife at a baby's birth is one of life's glorious adventures.' Midwives play a vital role in supporting women through some of the most challenging and rewarding moments of their lives. These remarkable professionals watch over births across Australia from the remote outback to busy urban hospitals. Virginia Howes was a mother of four doing the ironing when she had a revelation. 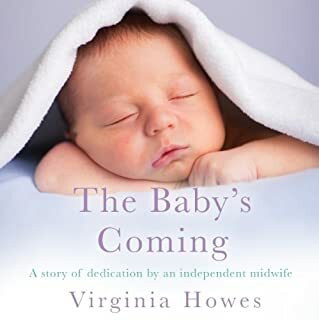 Still broody, but not really wanting to add to her family, she realised that becoming a midwife was her true vocation. It was a long journey to get the education and qualifications she needed, especially with a young family, but she was determined and never doubted her decision. Following her training, she spent three years working within the NHS, but her naturally independent spirit fought against the constraints of the system and 12 years ago she decided to set up on her own. 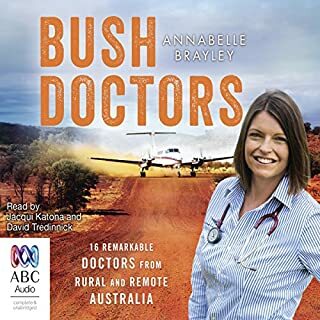 Sixteen stories of amazing outback doctors and their heroic deeds, from the best-selling author of Nurses of the Outback. Imagine yourself critically injured or seriously ill in the middle of nowhere. You'd be hoping like hell there was a doctor nearby to take charge - someone resourceful, who'd think quickly and stay calm under pressure; someone who could, if necessary, take charge from a distance. You'd want to be in the safe and sure hands of one of these amazing bush doctors. 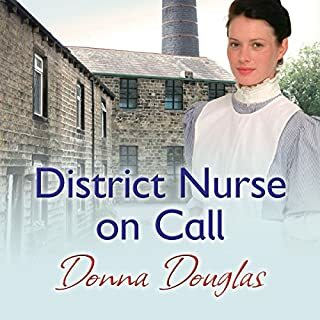 A collection of real-life accounts from nurses in the Australian bush - inspiring, poignant, horrifying and hilarious. 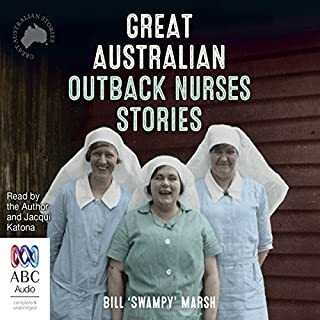 Stories and memories that capture the experience of nursing in the bush, gathered by the inimitable Bill 'Swampy' Marsh. With hearts as big as the outback, rural and remote nurses are a dedicated and gutsy bunch who work selflessly to care for their communities, often in isolated and inhospitable conditions, with few resources but plenty of experience, courage and care. Birdsville is one of the most remote police postings in Australia. It can be lonely and uneventful for weeks, then the dramas come thick and fast: from desert rescues to rising floods, venomous vipers to visiting VIPs. Throw in heat, dust and flies and it's not a job for the faint-hearted, unless you're Senior Constable Neale McShane, who has single-handedly taken care of a beat the size of Victoria for the past 10 years. Recently retired, Neale and his family thrived on the adventures and colourful times. Simply Birdsville a wonderful place. "'Cattle Kings' ye call us, then we are Kings in grass castles that may be blown away upon a puff of wind..." - Patrick Durack, 1878. When Patrick Durack left Ireland for Australia in 1853, he was to found a dynasty of pioneers, and build an empire of cattle-land across the great stretches of Australia. 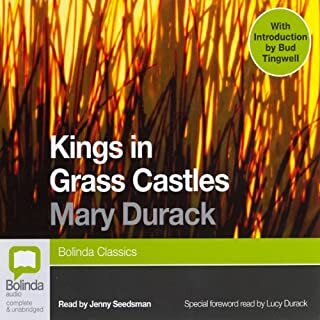 His grand-daughter, Mary Durack, with a profound sense of family history, has rebuilt the saga of the Duracks, a saga that is the story of Australia itself, huge, pioneering, and tremendous in concept. It's been 11 years since Dr. Peta Woodward, born into a horse-breeding dynasty, fled the family stud in the wake of a deadly tragedy that split her family apart. Carrying wounds that have never truly healed, Peta has focused on helping others. 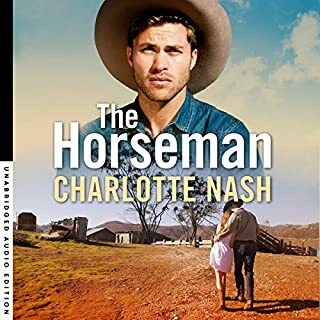 But when an injury during a solo trip through the Australian high country leaves her stranded, the man who comes to her rescue is Craig Munroe, a born and bred high-country horseman - and the kind of man legends are written about. The ultimate collection of unbelievable true Australian stories: the unknown, the forgotten and the surprising. Did you know that in 1932 the Australian army was called out to wage war on an invading army of 20,000...emus? Or that the first royal personage to arrive in Australia was the King of Iceland, and he came as a convict? And how about the spooky phenomenon of the mischief-making Guyra Ghost? 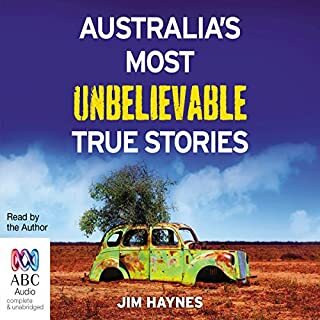 From Jim Haynes, one of our most successful and prolific tellers of yarns and bush tales, comes this collection of unbelievable true Australian stories. Cheryl lives in such a remote area, she had to winch herself and her three children across the Murray River to get the eldest to school. Alice admits she couldn't even tell a cow from a bull when she first went to live in the outback. These women are only some of the 12 extraordinary women who have overcome incredible hardships to survive and thrive in some of the most extremely remote parts of Australia. Sue Williams has uncovered some remarkable subjects in this work. 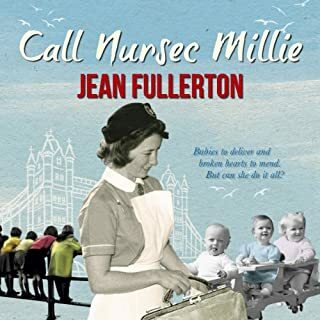 Call the Midwife meets In the Middle of Nowhere in this heartwarming memoir of an adventurous Aussie midwife’s life ‘catching babies’. 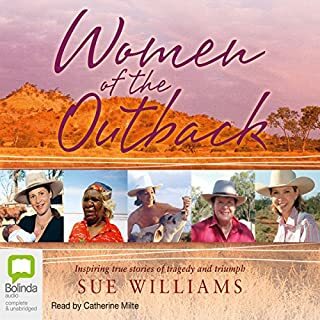 Outback Midwife is the story of Beth McRae’s 40 years as a midwife, from her terrifying first day witnessing a birth as a naïve student nurse to her training as a midwife - the days when the words ‘birth plan’ were unheard of and what women wanted was a long way from being part of any plan - to the outback. Beth’s career of catching babies takes her from the city to the bush, bonding with people from all walks of life at one of the most important moments in their lives. But there was one more frontier she was determined to conquer. 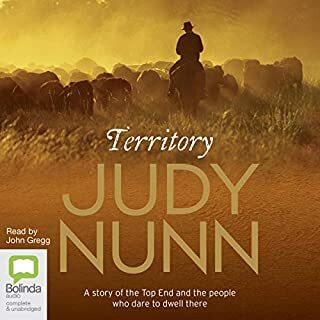 At a time when most people are thinking about slowing down, Beth decides to move to a remote Aboriginal community in Arnhem Land to embark on a whole other adventure. A wonderful book. Deepest incite into a devoted mother, daughter and nurse. Despite her own tragedies she continues to help people in remote communities. 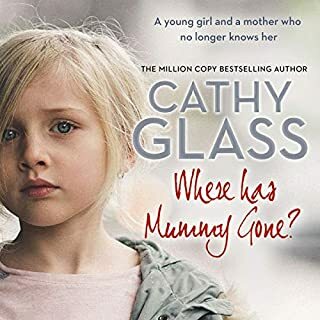 Obviously devoted to her career and to helping women in outback australia, despite the often harsh and uncomfortable conditions faced by health workers in remote outback clinics. You don't need to be interested in babies, or medicine to enjoy this read. Plenty of shades of Australia in every chapter. Beth had an interesting career and seemed a well-balanced patient woman who faced her own adversity. She and I are about the same age and I now understand better about childbirth in the 70s and how many things weren't of my making. Thank you for sharing with us Beth. 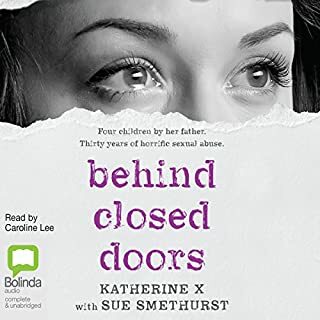 This is such a fantastic book to listen too. I even learnt something. Please read. For anyone who has a love of regional Australia, our hard working nurses and midwifery. I really enjoyed this book. I found it refreshingly down to earth and very easy to get lost in. It’s a lovely story full of love, country and of course, babies. It also brings to life the true courage and determination our regional health workers face on a daily basis. I didn't get anywhere near finished because it was boring in my opinion. Routine Nurses stories. 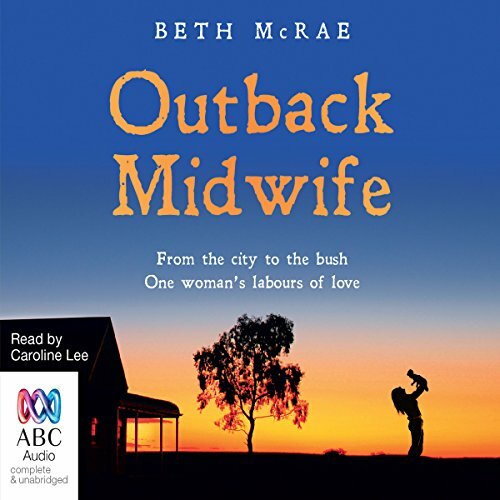 Would you consider the audio edition of Outback Midwife to be better than the print version? Don't know as haven't read print version. It's my kind of book. I love outback stories. She speaks well & her emotional parts are good. Made me both laugh & cry. I thought the author Beth wrote well about her life, happy parts & sad alike. 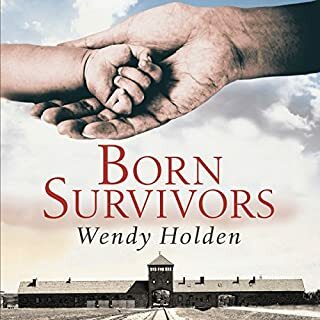 What a moving story I found this book to be. Narrator was good but her attempts at other accents eg Scottish I found off putting at times. The book was written from the heart of the author who it appears has been a pioneer in trying to understand how giving birth, contraception etc in other cultures can vary from what she had been taught. Overall I feel Beth will have left the outback dwellers in a better understanding on how pregnancy, good diet etc leaves the mother healthier as well as her children. Not quite what I was expecting! 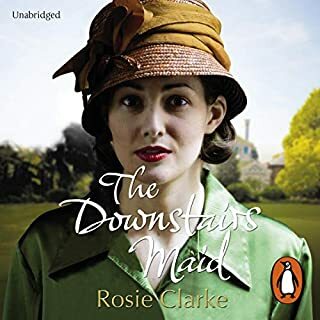 I was expecting a sort of Call the Midwife style tale, in a different setting, but it isn't like that, apart from the fact she's delivering babies! Beth doesn't even get to the outback until almost the end, so it's mainly set in hospitals, in towns. So although she is a midwife in the outback you have to wait a long time to get there. The part when she's training at the beginning, with all her trials and tribulations in her private life as well, is interesting. Her account of her family life with her parents and sister was endearing at times. Later when she loses her own first baby it was heart ringing, you could hear her pain. She gets the listener to sympathise with her a lot and to see her frustrations later on when bureaucracy prevents improvements for patients. When she does eventually arrive in the outback I found some of her observations sounded judgemental, although I'm sure this was unintentional. The latter part of the book wasn't always for the faint hearted and parts of it were disturbing. One thing that really came through, was how much Beth cared for her patients. A more well meaning midwife I don't think you could find. I think Beth has a good, genuine heart, without being a goodie two shoes, so this is apparent all the way through. 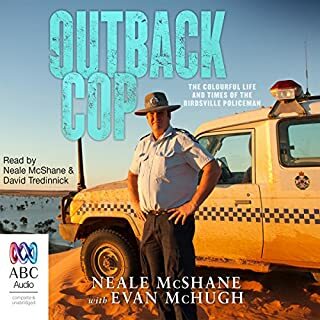 Where does Outback Midwife rank among all the audiobooks you’ve listened to so far? 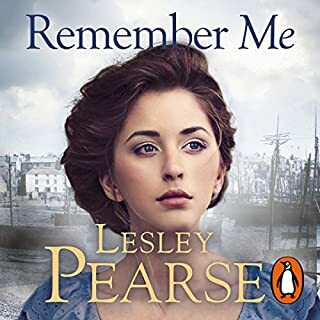 I really enjoyed the story, and will certainly listen to it again, so probably in my Top Ten. Beth. She seems a compassionate midwife and a really nice person, one I would like to meet. Did Caroline Lee do a good job differentiating each of the characters? How? 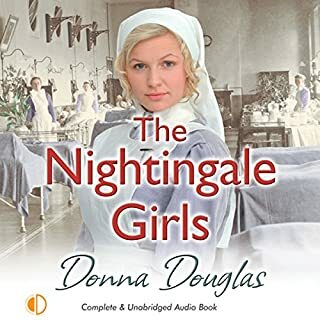 She narrates with passion and conviction and is certainly pleasant to listen to, but I found her attempts to reproduce Scottish accents lacked accuracy and pacing; to be honest, they generally made me giggle. I did both. The death of Beth's first baby was tragic, but there were many happy moments too. If you are interested in midwifery, social history, health care or life in Australia in general, this will be of interest.